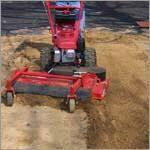 The Turf Teq Power Rake is the perfect tool for all types of seedbed preparation and lawn renovation. It has a compact design allowing it to go where tractor and skid steer mounted versions of this product can't go. The unit features a 36 inch wide drum. The pivot angle of the drum can be adjusted to the left or right from the operator position so debris can be windrowed. The unit also features an on-the-go differential lock for exceptional traction and productivity. 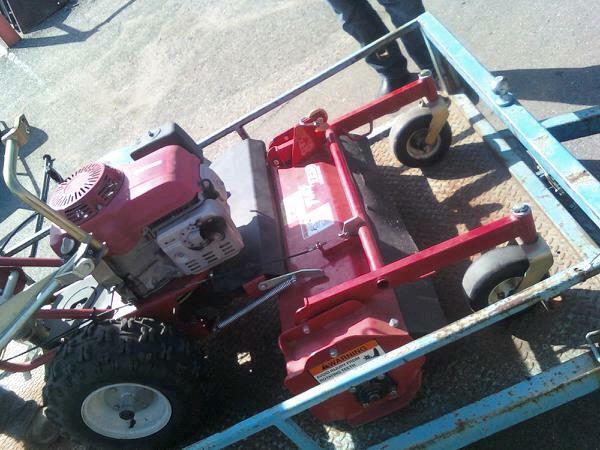 * Please call us with any questions about our power rake 36 inch turfteq rentals in Burnsville MN, Rosemount MN, Apple Valley, Minneapolis, St Paul, Twin Cities, South Metro,and Dakota County.